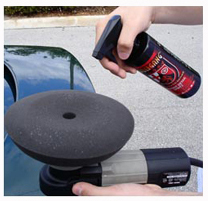 Home > Shop By Brand > Wolfgang Concours-Series Car Care > Wolfgang Instant Detail Spritz 128 oz. Free Bonus! Use a soft, plush microfiber towel to buff off Wolfgang Instant Detail Spritz. Between washes, mist one section of paint at a time with Wolfgang Instant Detail Spritz. 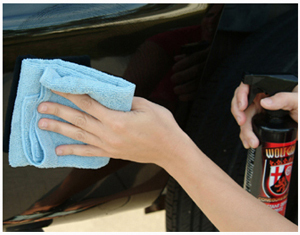 Use a plush towel such as the Deluxe Jr. 600 Microfiber Towel to gently buff your vehicle to a deep gloss. Pinnacle - Wolfgang Souveran Kit - Free Bonus! Works very well. Leaves paint looking wet looking and really slick. Love this stuff! I used this on my new car and my 25yo antique vehicle. The shine it gives is incredibly deep and mirror finish perfect! I have used a lot of products over the years but in my opinion, this is one of if not the best on the market. I've tried many quick detailers and look for certain attributes to make it a keeper in the garage. These are made up of ease of application, longevity of shine, application uses (during wash, in between wash, spray wax alternative), amount required and scent. Wolfgang instant detail performs strongly on all of the above and now is my go-to quick detailer. Highly recommended which is the reason for purchasing the 128oz size.